The retrieval of the appropriate contact in order to start a new communication session from the contact repository of mobile devices can be a time consuming procedure since mobile contact lists usually contain hundreds of items. Several researchers have focused in the past on predicting the next contact a user is likely to call, a task that could prove useful in designing adaptive context-aware interfaces for the mobile contact list. Most of the researchers propose several contextual dimensions that could be used to predict the next callee, location being one of them. However, none of these research works have ever examined the impact of location on mobile communications and only few have actually incorporated this contextual dimension on their implementations. 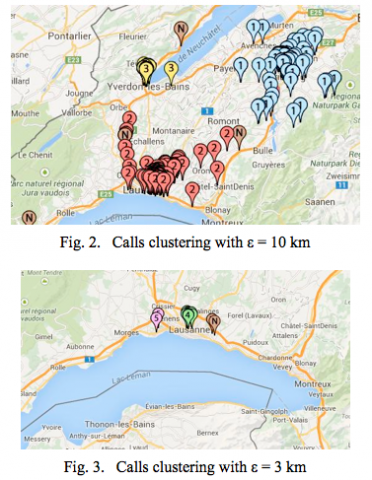 In this paper, we examine physical location as a contextual cue for adaptive mobile contact lists by analyzing call logs from the Nokia Mobile Data Challenge dataset. Our work indicates that, contrary to previous literature, the consideration of physical location as a context dimension does not necessarily lead to improvements in the accuracy of predicting the likelihood of communication with contacts for all types of users included in the dataset under review. Finally, we also discuss the possible reasons behind this limited impact.